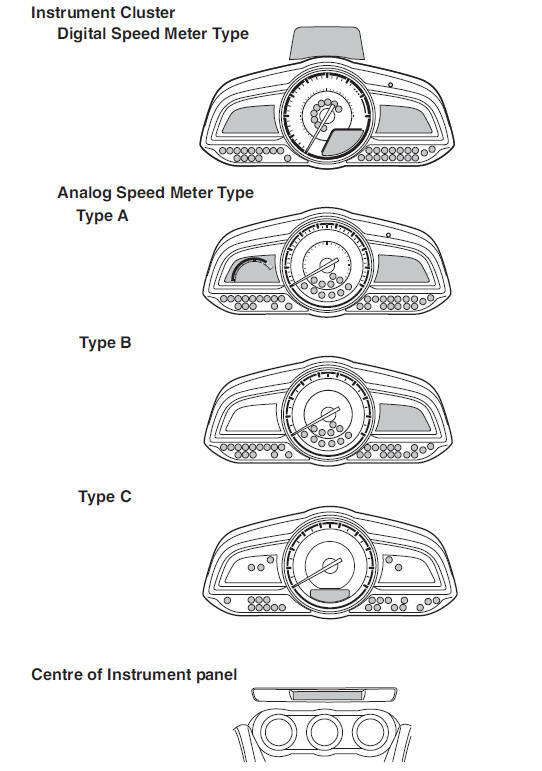 Instrument Cluster varies depending on model and specifi cations. 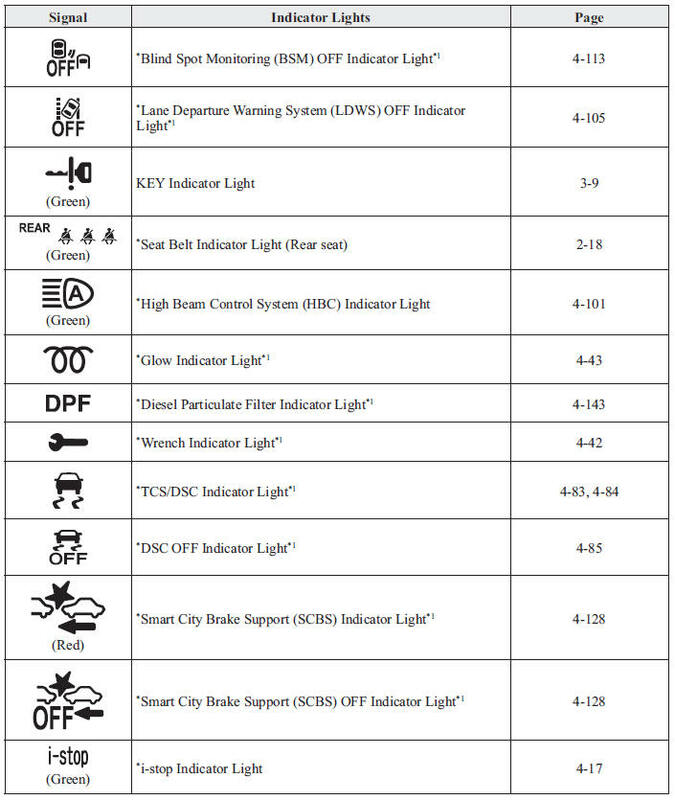 These lights turn on or fl ash to notify the user of the system operation status or a system malfunction. *1 The light turns on when the ignition is switched on for an operation check, and turns off a few seconds later or when the engine is started. If the light does not turn on or remains turned on, have the vehicle inspected at an expert repairer, we recommend an Authorised Mazda Repairer. *2 The light turns on continuously when the parking brake is applied. 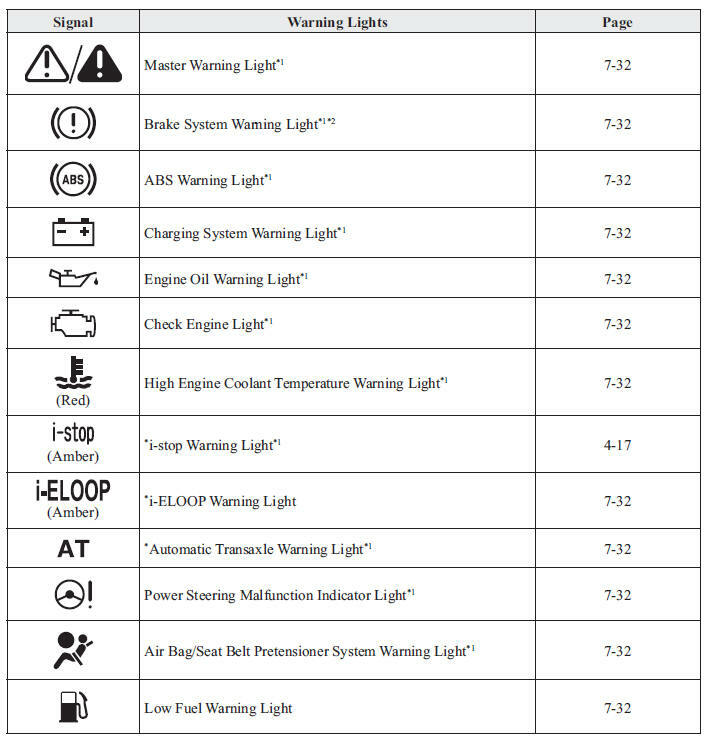 ON, the warning light is illuminated and then turns off after a few seconds. 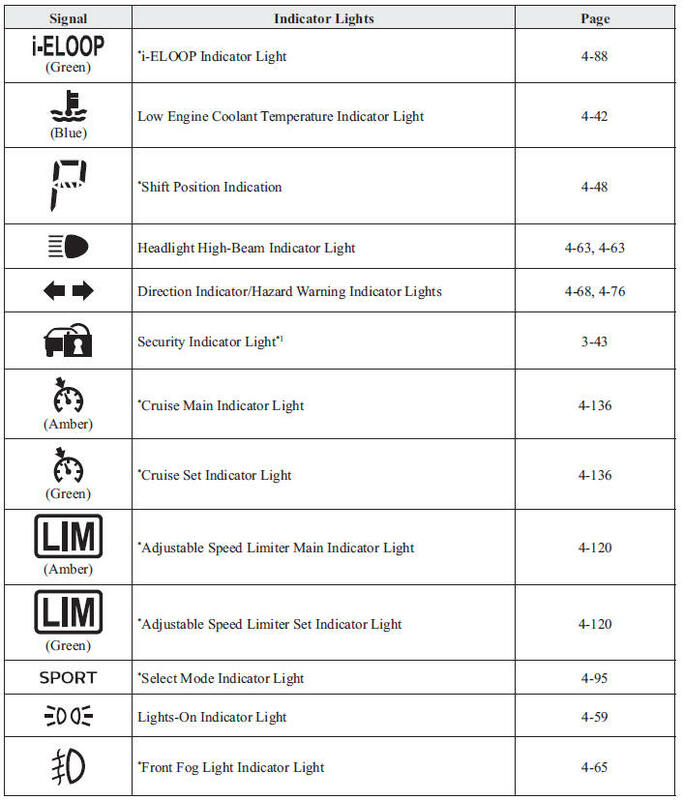 The wrench indicator light is illuminated when the preset maintenance period arrives. Verify the content and perform maintenance. Refer to Maintenance Monitor on page 6-15 . The wrench indicator light turns on when the engine oil has deteriorated, is insuffi cient * , is around the X mark on the oil level gauge or reaches a position exceeding the X mark. Check the engine oil. Refer to Inspecting Engine Oil Level on page 6-28 . Replace the engine oil if the wrench indicator light does not turn off even though the engine oil level is in the normal range. 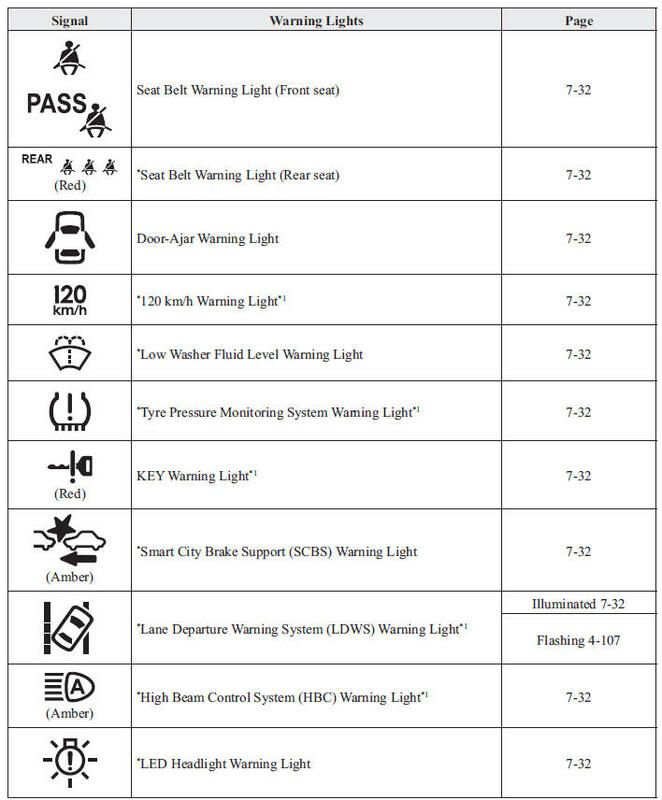 Depending on the vehicle use conditions, the range indicator light may turn on for reasons other than the preset maintenance period. Whenever the engine oil is replaced, a reset of the vehicle engine control unit necessary. Your Authorised Mazda Repairer will be able to reset the engine control unit or see page 6-27 for the Vehicle engine control unit reset procedure. continuously when the engine coolant temperature is low and turns off after the engine is warm. If the low engine coolant temperature indicator light remains illuminated after the engine has been suffi ciently warmed up, the temperature sensor could have a malfunction. Consult an expert repairer, we recommend an Authorised Mazda Repairer. It turns off when the glow plugs are warm.